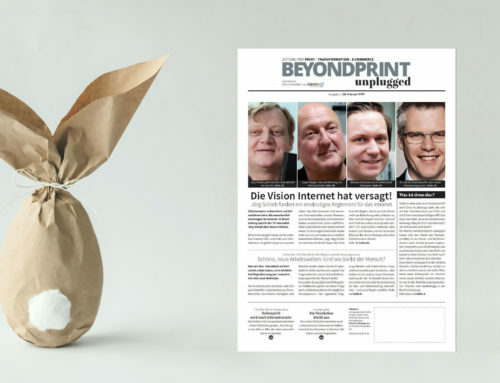 Online print: supply chain and platform dependencies – how long can this situation continue? 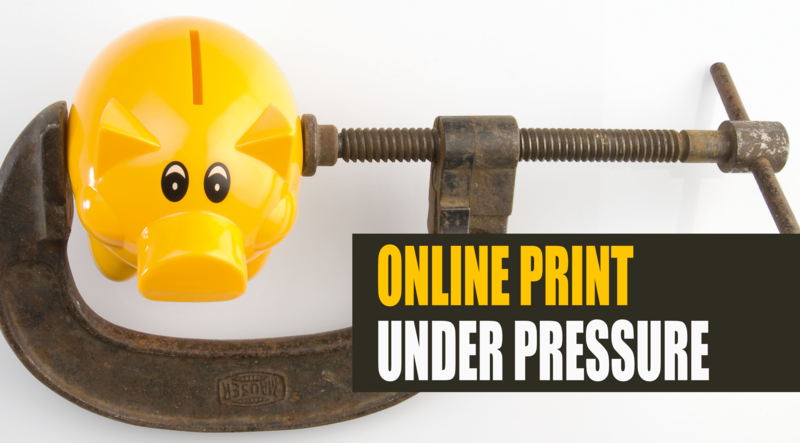 Print providers are under pressure – and recently under cost pressures more than ever before. Output decreased in Germany by 1.4% and sales declined by 0.9% during the course of the previous year. The consequence of this deteriorating business climate is another increase in bankruptcies. According to official statistics, 44 print companies (in the same period of the previous year: 39) had to throw in the towel during the first half of 2018. The reasons for this include, not least, increased prices of paper, printing plates, printing inks, energy and transportation. Although print companies for their part are trying to push through higher prices for print products, the average increase of 0.6% in selling prices compared to the previous year is hardly likely to offset the two increases each of around 8% in paper prices. Heading the list of “those forcing prices up” are Papyrus Deutschland and Papier Union – ironically the two paper merchants that are now due to merge. The transaction is still subject to the usual official approvals, because combined sales of Papyrus (approx. 560 million Euros) and Papier Union (sales: 390 million Euros) represent a market share of nearly 50%. However, it is doubtful whether the merger will go smoothly. The competition regulators at the Federal Cartel Office will be scrutinizing the proposed merger very closely, because in 2004 they imposed fines totaling 57.6 million Euros on paper wholesalers because of illegal price fixing. They included Igepa group companies, Papier Union and Papyrus (back then they were still known as Schneidersöhne). Now it’s hardly likely that another round of consolidation in the paper market (in future only wholesalers Antalis, Igepa and Papier Union will be left) will have a positive impact on prices. Consumers, i.e. the print companies, have fewer paper procurement alternatives and will indeed continue to be asked to pay up. And what does that have to do with online print? More than you might imagine at first glance. That’s because eBusiness print, as we all know, functions on the basis of a range of very different business models. On the one hand we have the 100% online print providers with their open-to-all stores that also print the bulk of their offerings themselves. They need to offer increasingly shorter delivery times and above all an extremely wide and growing range of products in order to cover the needs of their customers. However, this print product diversity is often only feasible by partnering with other print providers. 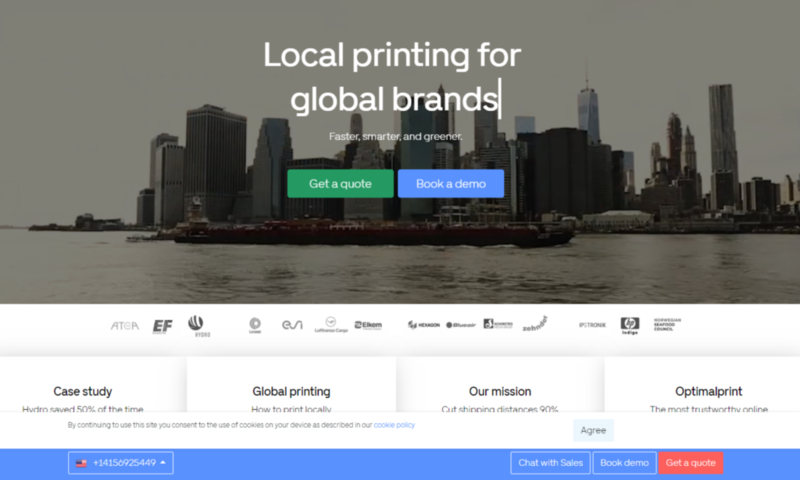 Compared to them, some platforms for selling print products are very successful. These “print product marketers” usually don’t do any printing themselves, but instead utilize a network of different, what you could term contract print providers and then sell the products of these unnamed companies under their own brands. However, the stigma of dictating prices to their suppliers is often attached to these platforms as well. Squeezing would be the less diplomatic albeit often the more accurate term. That’s because oddly enough many of the platforms are cheaper than online print providers with their own machinery assets. And what then happens to the platforms? Supply bottlenecks, late deliveries, a reduction in available offerings etc. could be the consequences – and cause a collapse. That is exactly what happened to one of these assetless platforms, which lost a key supplier to bankruptcy. As a result, certain products could only be delivered late or not at all. The online print portal was therefore as good as dead and buried, had it not been taken over. What companies are involved? I am aware of the names but don’t want to keep banging on about them until the restructuring has been completed and normal business has been resumed. Yet that should be reason enough to reflect upon dependencies in the supply chain (from the paper merchants to companies’ own business model). 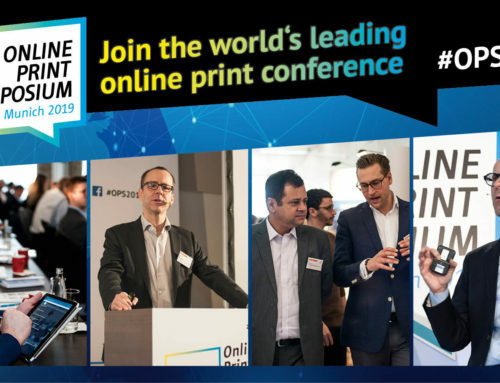 The multi-million business of trading in print products could at any rate rest in the medium term on pretty shaky foundations if the print provider marketplace continues to thin out. That’s because firstly not all print companies want to be suppliers to online print providers or commercial platforms and secondly, not all print companies are by any means fit to operate in the eBusiness print sector. 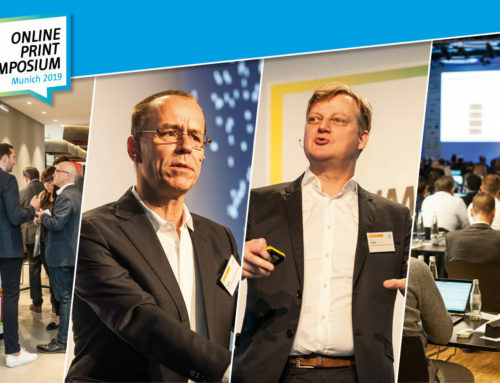 Many operations in Germany still lack IT know-how and the appropriate level of automation. It’s doubtful whether there are enough print companies abroad that are capable of acting as service providers and whether they are even able to meet requirements. But if time-to-market is increasingly becoming a key distinguishing feature, then print companies from neighboring countries may not necessarily be an alternative. Apparently “print marketers” have long since realized this too. 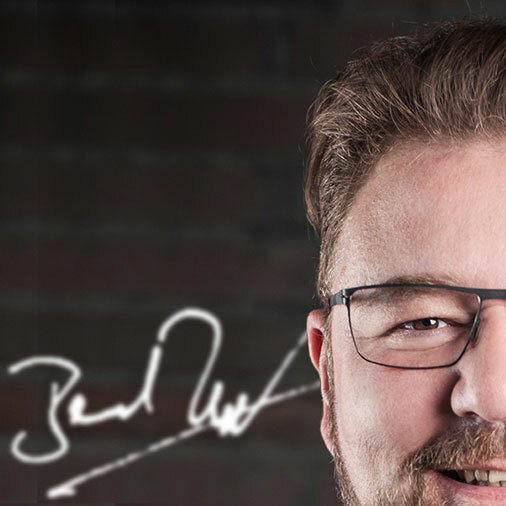 WirmachenDruck, for example, set up Druckfabrik Berlin GmbH at the beginning of 2013 – it is continuing to expand production and now employs 130 people. However, it would be an exaggeration to interpret this as an about-face from marketing to manufacturing. But it could be a sign of things to come. The business models of online print providers with their own machinery assets at least seem to be relatively resilient. In contrast, several commercial platforms have disappeared from the market. And there must be a reason for that. “Of course, a lot of business in the eBusiness print sector is transacted via platforms that buy in print products. 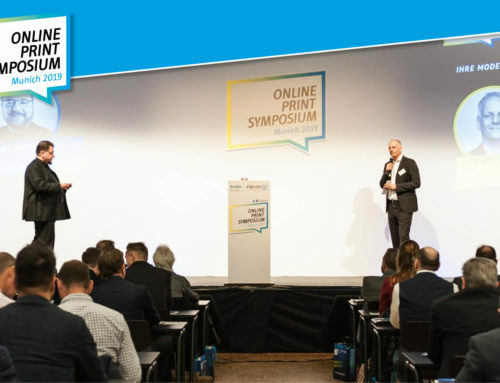 But somebody ultimately has to do the actual printing and do so in such a way that they can make a living from it.” This quote by Onlineprinters CEO Dr. Michael Fries at the Online Print Symposium 2017 in Munich encapsulates the nub of the problem that could possibly still bring turmoil to the growing online print market. 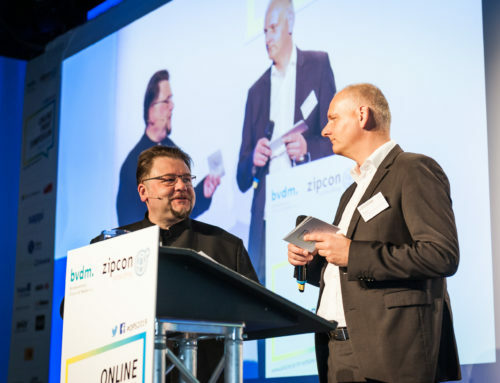 My take: At the beginning of this year I forecast that growth in the online print sector in 2018 might be somewhat slower than usual and that there could be a shift in B2B sales between online print providers and platform providers. Given increasing online marketing costs, the margins of all those businesses operating online are also shrinking. 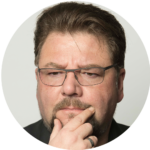 If gaining a new customer on the Internet adds up to as much as 150 Euros, then you need to sell a whole heap of business cards to recoup your costs. And that is likely to be a tougher proposition for the “print product marketers” that don’t themselves add value to products per se than for online print providers that do their own printing.